The self-drive to Leh Ladakh is a dream drive for hundreds of adventurists all around the globe. As soon as the Leh – Ladakh season gets into full swing in May to September months, lots of adventure lovers prepare themselves to go for a self-drive run over the roof of the world via the ever-enthralling and adventurous roads of Manali – Leh Highway and Srinagar – Leh Highway. So, how about looking into the details of a self drive trip to Leh Ladakh in this article. 1. Over-confidence is your biggest enemy, so keep it away on Ladakh self drive!! In this article today, I would like to share seven very useful tips for your upcoming self-drive expedition to Leh-Ladakh that you might want to keep at the back of your mind, rather always on mind, before you dive into the dream drive of your life to Leh Ladakh self drive tour. Never be overconfident that you are master of driving, you have done Rohtang Pass ‘x’ number of times, you are a champ driver in plains etc.. because driving to Ladakh especially via Manali – Leh Highway could be one of the strangest and adventurous drive you will ever undertake in life. Never think that any overlying stone will not hit the underbelly, never think that the road ahead is straight as an arrow like runway and you can cruise through it etc.. Such a thinking can get you/your vehicle stranded in the middle of nowhere for hours to up to days on a self-drive trip to Ladakh. Even the smoothest and straightest of the roads, which look like super fine, newly laid tarmac are washed in between or have sudden bumps in them which can badly hurt your vehicle. If you see a big rock lying in between on-road especially at sections with loose gravel then it is always you better step out and throw it away to make your way instead of taking any chance and getting your car’s underbelly hurt with it. Hence, make sure when you make a Leh Ladakh road trip by car, you remember to leave the overconfidence of being a driving expert at home else be prepared to be stuck in the middle of nowhere due to it. 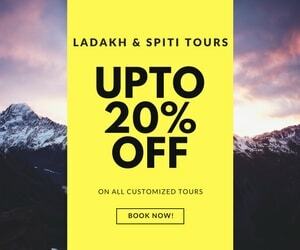 On any Leh Ladakh self drive tour, whenever you are in doubt about some rough section of the road, maybe landslide section or pathetically rough road or a water crossing etc. then never, ever rush through it. Rather, carefully analyze that tricky section of the road by parking your vehicle aside and judging the situation. Try to see how other vehicles are crossing that section. And, if required, check/inspect the trouble section on your foot to prepare an exit route through it in your mind. Then finally go for it. Rushing through the tricky sections on a Ladakh drive can end up in a trouble as you never know what is beneath such sections. Sometimes sharp stones can either cut the tire or even worse, puncture the engine sump. It is very important to know about your car or vehicle because you might find some of the stretches or sections of the road on Ladakh drive which are not possible to cross without a hit or scratches under-belly, especially with hatchbacks and sedans due to low ground clearance. In such situations, when you take a small car to Ladakh, you need to know which parts of the underbelly of your car you might need to protect especially oil sump (which you need to protect all around the trip) and which parts you can let get the hit from below or have some scratches on it. Hence, knowing about your car will help you a lot in making the right choices in tricky situations on any Leh Ladakh road trip by car. Use of heaters should be avoided at any cost especially at the high altitude places like Manali – Leh Highway and Ladakh because the warm air by heater destroys the levels of oxygen content present inside and can make breathing very difficult and aggravate the AMS Symptoms. Hence, it is best that you do not use the heaters in the car and may be let the outside air flow in for proper circulation. Avoiding AMS or minimising the chances of getting hit with AMS is a key factor in making a successful self drive Leh Ladakh trip. Should be first and foremost, but still, PLEASE do not take booze/drink at all while you are driving in the Himalayas, especially when driving from Delhi to Leh by road via Manali, which runs above 14000 feet at the major portion of it. Drinking means you will have some real trouble in getting acclimatized with alcohol in your belly 🙂 and of course, will create the lapse in concentration while driving. You already know the other perils of drunk driving apart from being a legal offense, so I am not going to stress upon this fact any further. So, PLEASE do not mix drinks with your self drive road trip to Leh Ladakh. 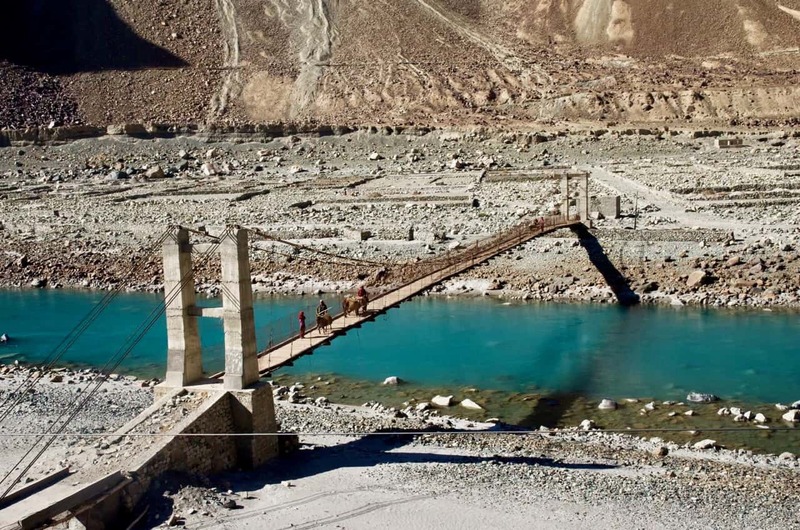 Road to Photi La – Would you like to self-drive up there? While traveling in the mighty Himalayas, you must always help other people stuck on their way with whatever you can offer, be it a lift, push, pull, fuel, spares, rope etc. because the help is always hard to find especially at places like Manali Leh Highway, Nubra to Pangong Tso, or Pangong Tso to Hanle, or Changthang or other remote routes of Ladakh. Do not forget, this can happen to you at the very next turn and it does not feel much good when someone comes after hours and passes by without offering any help on your dream Ladakh drive. Apart from the above driving related list for Ladakh self-drive trip, I use to follow my list of things to carry whenever I travel to Leh – Ladakh. Also, do not forget to get your vehicle serviced before 2-3 weeks when you go on a self-drive to Ladakh. Q1. Which car is best for ladakh trip? There is nothing as such called “Best” car for Leh Ladakh trip. A lot of factors depend upon making a car the best for one or the other trip. We must understand that the driver sitting behind the wheels matters the most and which car you have for Ladakh trip is just a matter of commute option. Still, IMO, the best car will for Ladakh self drive trip will be the one with high ground clearance, spacious to carry luggage, comfortable for long drives and is in good mechanical condition. Q2. Can I take small car to Ladakh? You can certainly take a hatchback or sedan on a Leh Ladakh trip but surely there will be challenges. I have seen Tata Nano doing it, so any car can do it. It all depends upon your driving skills and how much you love your car. I have personally driven my Santro, Swift and Swift dZire to many remote corners of the Himalayas. The tips in this article will help you with majority of the challenges. Q3. Can I take Zoomcar to Leh Ladakh? Q4. Can I rent car in Leh-Ladakh? There is no option to rent a self drive car in Leh Ladakh. You can of course rent a local taxi in Leh and ask the driver to let you drive in some sections in case he agrees. Q5. Can I get self drive car in Leh Ladakh? Q6. Can I get self drive car rental in Manali? Q7. Can I get self drive car rental in Srinagar? It always a good idea to plan your self drive to Ladakh well enough so that you do not come with a nightmare experience from this heavenly road trip. I found many people going to Ladakh drive without knowing the road conditions and then curse the place for their ignorance. Hence, one of the key areas to know before going on a self drive road trip to Leh Ladakh is the road conditions and the fuel stations or availability of fuel within Ladakh or inroads to Ladakh like Manali – Leh Highway and Srinagar – Leh Highway. I know that the road conditions keep changing but still I feel that knowing about such road conditions in Ladakh is extremely critical. You can make critical and informed decisions such as whether you should take your own car on a Leh Ladakh self drive trip or should you take a small car to Ladakh like a sedan or hatchback or should you have a 4×4 vehicle on your Ladakh road trip. Thus, if one knows the road conditions in advance, it might be really helpful in deciding on such factors. For each and every route sections elaborated below, I will suggest car types with difficulty level as Easy, Manageable, Tough, Very Tough, Car Killer. I have taken into account the overall driving comfort as well when suggesting a particular car type. So it is not just the driving but overall picture of which car is best for Ladakh trip. PLEASE DO NOT take it literally especially when driving small cars to Ladakh as Sedans and Hatchbacks. Even, if it is mentioned that route is manageable for Sedans and Hatchbacks, you still have to drive with extreme caution and care. Hence, the seven tips mentioned in the article above will help you too on your Leh Ladakh road trip by car. Most of the roads around Leh town as well as Sham Valley are good in conditions throughout the year barring few sections where water keeps running through, thus damaging them. Only very few sections of these roads are in bad conditions. Sham Valley include Alchi, Likir, Basgo Palace, Magnetic Hills, Confluence at Nimmu, Gurudwara Pather Sahib and Leh Local Sightseeing include Namgyal Gompa, Leh Palace, Shanti Stupa, Shankar Gompa, Main Market, Hall of Fame, Spituk Gompa. So, it is fairly easy to cover these places on your Leh Ladakh self drive tour. High Ground Clearance SUVs (4×2) = Easy. High Ground Clearance SUVs (4×4) = Easy. 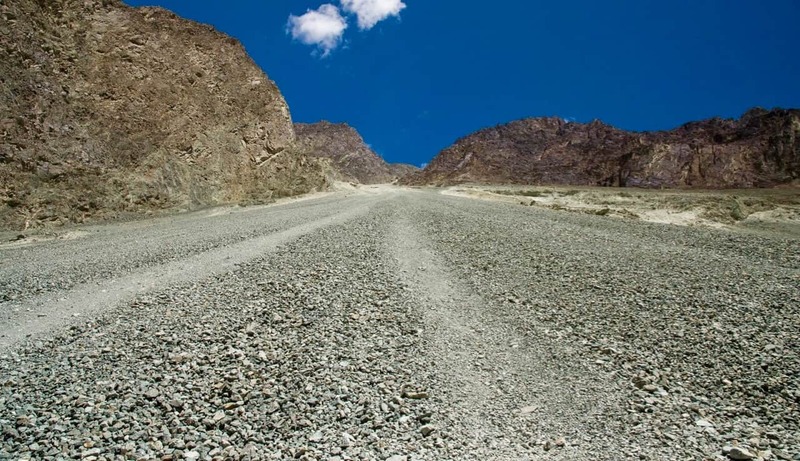 The road conditions within Nubra Valley are very good but the ascent from South Pullu to Khardung La and then descent towards North Pullu has major sections of the road in tatters. In winters or early summers like April and May, due to the presence of snow, it is extremely difficult to drive on this section (South Pullu – Khardung La – North Pullu). 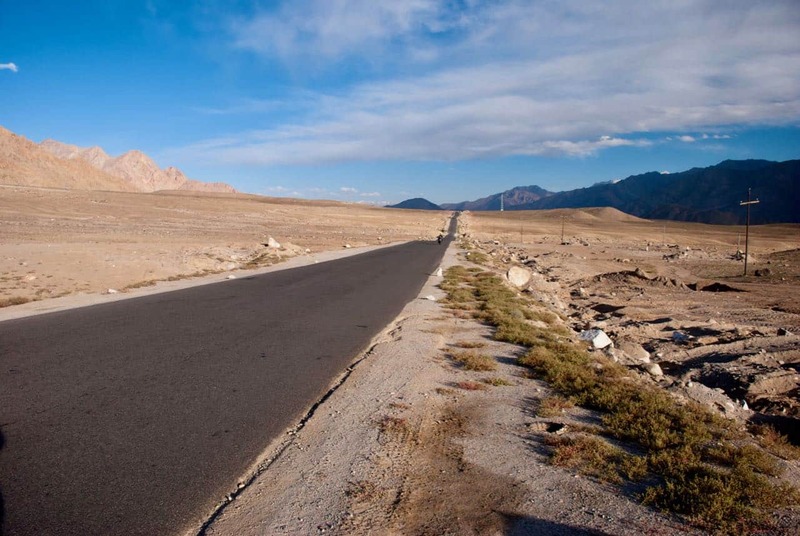 Once, you are in Nubra Valley most of the roads are in excellent conditions including Turtuk and Panamik. Sedans/Hatchbacks = Easy (Nubra Valley) but Manageable (South Pullu – Khardung La – North Pullu), Very Tough in early summers. High Ground Clearance SUVs (4×4) = Easy to Manageable. So, when making a self drive trip to Leh – Ladakh, Nubra Valley is mostly manageable by small cars. 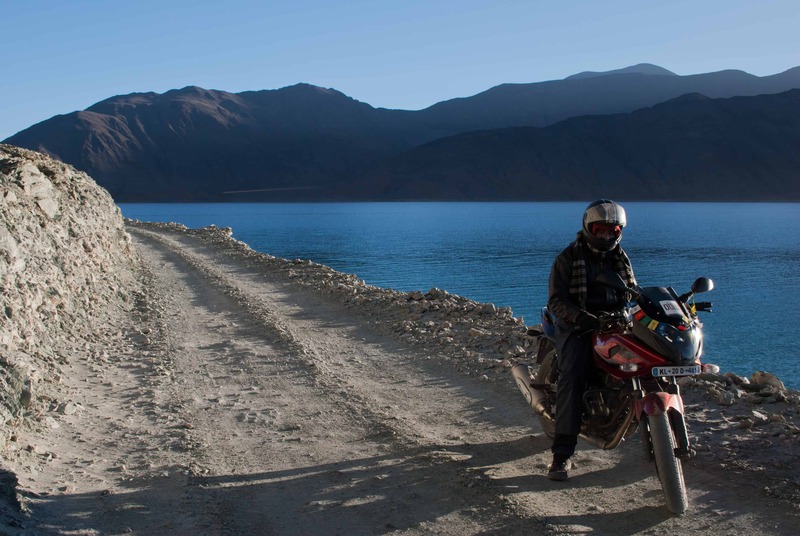 The road conditions towards Pangong Tso are a mix of good (Leh – Karu – Shakti, Durbuk – Tangste – Lukung), bad (Lukung – Spangmik) and very bad (Shakti – Chang La – Durbuk). Roads from Leh up to Shakti are decent in conditions but again the ascend from Shakti to Changla is something very treacherous and with bad road conditions. Similarly, as you descend towards Durbuk from Changla most of the road is in bad shape. From Lukung to Spangmik, there is no road but a dirt track. Sedans/Hatchbacks = Easy to Manageable, at least the climb up/down for Chang La and Lukung to Spangmik. High Ground Clearance SUVs (4×2) = Easy to Manageable, tough in early summers. High Ground Clearance SUVs (4×4) = Easy to Manageable.. So, when making a self drive road trip to Ladakh, Pangong Tso is mostly manageable by small cars. The road conditions towards Tso Moriri are a mix of good and few bad. Roads from Leh up to Mahe are decent in conditions but once you cross Kiagar Tso ahead of Sumdo the dirt road is present for about last 30 KMs. If it rains or in early summers when snow is present around roads, many sections forms slush on them which is difficult to manage at times on a Ladakh drive. Sedans/Hatchbacks = Easy to Manageable but can be tough in early summers. High Ground Clearance SUVs (4×2) = Mostly Easy. High Ground Clearance SUVs (4×4) = Mostly Easy without 4×4. So, when making a Ladakh self drive tour, Tso Moriri is mostly manageable by small cars. The major part of this remote but most beautiful route of Ladakh in Changthang runs on a dirt track due to the absence of any road. Lukung – Spangmik – Man – Merak – Chusul – Tsaga does not have any road at all and has some really bad sections where getting through with low ground clearance is very difficult, especially before Chusul due to loose sand and water crossings. Tsaga – Loma – Nyoma – Mahe is blacktop tarmac where it will be easy to drive. Even the diversion road to Hanle from Loma is in very good condition barring few patches. Sedans/Hatchbacks = Mostly tough from Spangmik to Tsaga La, chances of getting stuck but Easy to Manageable after Tsaga Village. High Ground Clearance SUVs (4×2) = Manageable, Tough at some sections when slush and ice is present on it. High Ground Clearance SUVs (4×4) = Manageable, Tough without 4×4 but Manageable with 4×4. Hence, if you are self driving to Ladakh in small car, it will be tough for you to traverse the direct route from Pangong Tso to Tso Moriri. This one is mostly used by tourist interested to reach Pangong Tso directly from Nubra Valley. The major part of the ascend and descend towards Wari La from Agham Village is tough and roads are a mix of average and bad. You will very rarely spot a taxi or other vehicle on this route when you drive over it. So in case of any exigency, help will be very hard to find. Sedans/Hatchbacks = Tough, at least the climb up/down for Wari La and then again to Changla. Very Tough and not recommended in early summers. High Ground Clearance SUVs (4×2) = Manageable, Tough in early summers. High Ground Clearance SUVs (4×4) = Manageable, Tough in early summers without 4×4. Making a self drive to Leh Ladakh and taking the direct route from Nubra Valley to Pangong Tso via Wari La will be tough route in a small car. As of 2018, this route is mostly used by tourists interested to reach Pangong Tso directly from Nubra Valley. Some of the sections between Agham and Shyok villages are extremely difficult for a small car especially, very much landslide prone and will most likely get your heart in the mouth. On a bad day, this whole stretch has a variety of troubles to greet you – water crossing (some nasty ones), loose rocks, sharp stones, big rocks in water crossings or standing water etc. Always inquire about the road conditions either at Agham Village or Khalsar Village before attempting this direct route from Nubra Valley side and either at Shyok village or at a GREF hut that comes after Shyok village from Durbuk side. Sedans/Hatchbacks = Tough to very tough, at times car killer too. High Ground Clearance SUVs (4×2) = Tough, maybe car killer when water flows heavily in July, August. High Ground Clearance SUVs (4×4) = Manageable to Tough even with 4×4 at some sections. My recommendation is to attempt this route on your self drive trip to Leh Ladakh only in a high ground clearance vehicle. 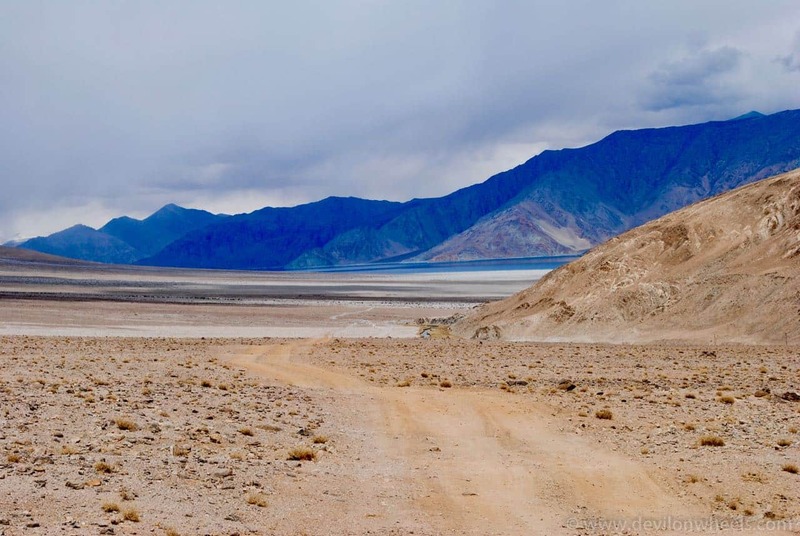 In a small car, you may end up in trouble taking the direct route from Nubra Valley to Pangong Tso. 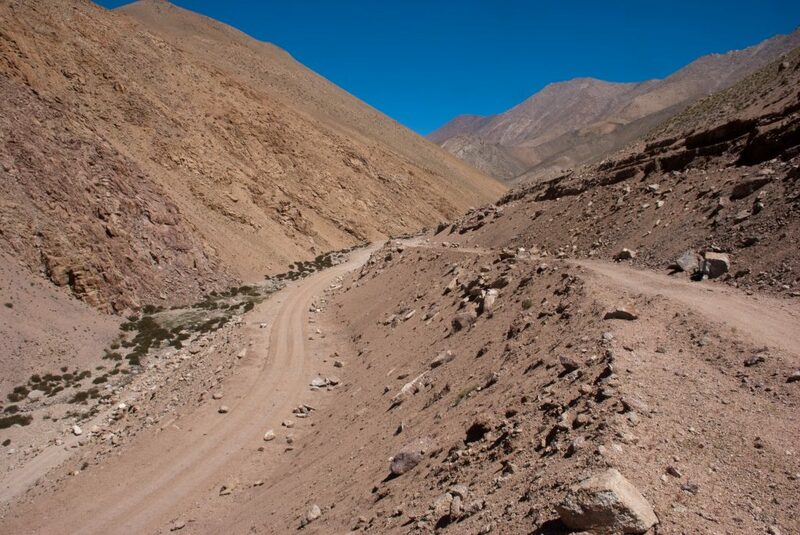 This remote route of Ladakh in Changthang, runs on a dirt track due to the absence of any road at all. It also has some bad sections where getting through with low ground clearance vehicle is extremely difficult. There is one VERY nasty water crossing near Charchaghan La, I guess which is very difficult to cross especially post afternoon. Loma to Hanle is in very good condition barring few patches. 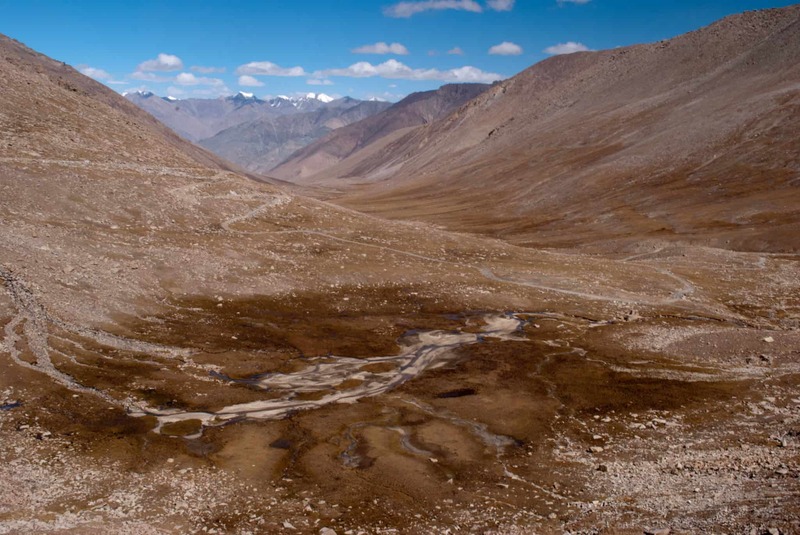 Hence, it is not suggested to take this route on your Leh Ladakh self drive tour, especially in a small car. I hope the above tips would be useful for your upcoming self drive Leh – Ladakh road trip. If you know your friends or family are planning a road trip to Ladakh, do share this article with them to help them make a memorable Ladakh drive. 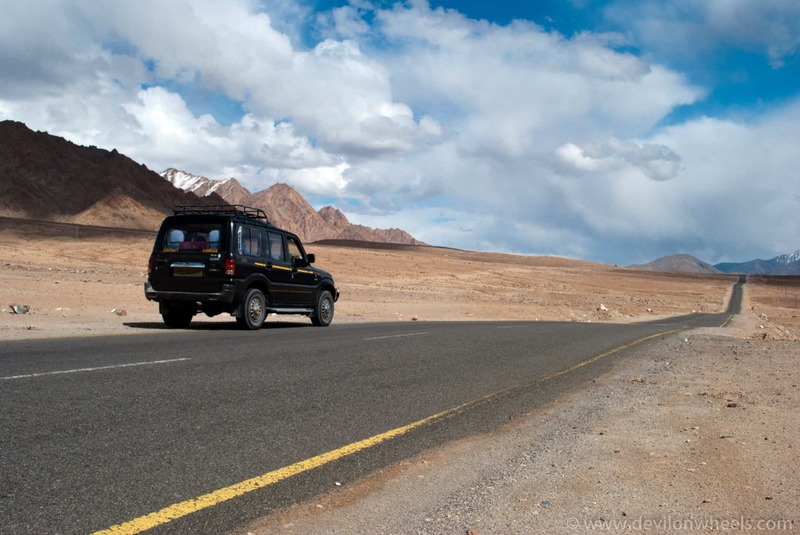 You may end up taking some well organised Leh Ladakh road trip packages but if you are making a self drive road trip to Ladakh, I hope you take these tips seriously. In the end, if you have been to self drive trip to Ladakh before, kindly share your thoughts and other information you might feel is worth sharing with other Ladakh self-drive enthusiasts. Valid Points. I want people to be inspired to go out and travel themselves securely. But I do feel pleasure if it’s easy enough for people to navigate making use of these wonderful tips. very useful tips. really I like this Post. i will share in my contact list and group. Are you working for Dow. What do you mean I am working for DoW? 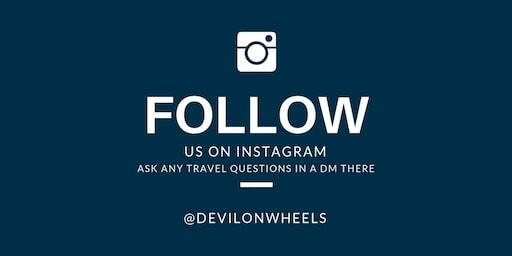 And I hope you are referring to original ‘Devil On Wheels’ this website not some copycat who is using our name shamefully to sell tours fooling our readers/community members and making money off it. I am sorry dear, I certainly didn’t have any idea as to what you actually do. As I have already mentioned I would love to explore leh by road from Delhi, I am travelling with my wife and my son who is 11. Two always makes a company and I know this expedition is not as easy as it looks. So, practically I am looking for a family who is also interested and would love to join me on this trip. I will start somewhere near 10th June from Delhi. Thank you dear for sharing all the information you have. As season start, more and more people look for partners and use this Calendar to connect with each other. Bharat, I believe you will have issues with checkpoints because of commercial registration. As you suggested me to register myself at the link you gave me. But every time I stuck up in the end. Can you please help me. This year,2017 July, Me and my better half , drove our Gypsy 4WD from Kolhapur_Manali_Leh_Khardung La. More than 5850+ kms in 14 days. There was , fortunately, not a single problem, may be health or Gypsy. It was a dream,we lived together. Thank you fot putting such a good write up. Is there a guided tour …like convoys of cars to be lead. I would prefer to be part of such self drive .. or do you suggest any drivers to drive along with me . Sorry Suri, we do not organize any tours. You can check the DoW Travel Calendar from main menu where people post the entries to tag along or travel along and look for travel partners. I have read you article.. I feel it as very useful. 1) we are planning a road tripfrom HYDERABAD to LADAKH-LEH via MANALI on AUGUST 13TH-22ND THIS 2017 in my new ELITE I20sportz crdi 2017. 2) we heard that the police around Delhi and Himachal pradesh, stops every car which is from outside States and demands money?. Is that true?? 3) we are not very sure about the route. Can you please suggest me how the roads till manali from Hyderabad… As we heard that from manali it’s a ghat. 4) what are the required things to be carried out in our vehicle? 5) is there any issues that we face with out vehicle? 6) is that possible/good to set a camping on the road side? 7) we are totally confused about the road and trip? I request you to please clarify me or suggest me the quiries I have..
1. Well, it happens almost everywhere in India and if your paper work is fine, I dont see any reason for them demanding money. It is not that bad as you sound it like. 2. It will take 3 days to reach Leh from Delhi via Manali side with stopovers at Jispa, Manali and 4 days to come back to Delhi from Leh via Srinagar side with stop overs at Jammu, Srinagar, Kargil . This makes it 7 days. 1 Day is required in Leh for acclimatization.Opt to go via Manali – Leh Highway and I will suggest that you refer the thread for more details on the route and night halts though it is of 9 days: Manali – Leh – Ladakh – Manali | Itinerary for 9 Days. Mostly mentioned in the article above. We are planning for Manali-Leh travel during Sept first half with a Xylo car and experienced local driver. Is the choice of car is OK or not? 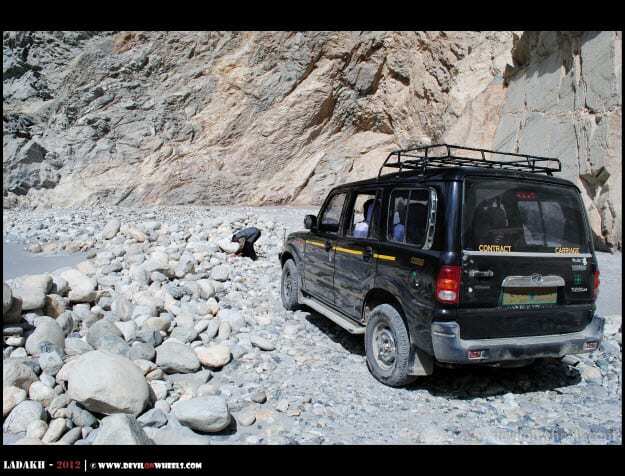 Yes Bhaskar, Xylo is a very capable car to do Manali – Leh Highway. (1) Is it safe for self-driving on Leh-Manali route? (2) Since we are to cover all above-mentioned destinations in a span of 11 days with having only one night to stay at every destination, will the trip it be too hectic from a bachelor trip point of view? (3) Or should we just start from Srinagar towards staying in Leh for a few days and then back to Srinagar? You have High GC vehicle, so GC will not be an issue. You should be cautious and careful and in case you have confidence with the dimensions of large car with gaps and all, you should be OK with it. You can check a very balanced and most common itinerary for Leh – Ladakh followed by many travellers including me at the link here for 13-14 days: Most Common Itinerary for Leh – Ladakh. Kindly suggest us is this itinerary good as we want to cover all these places, also on basis of your knowledge please suggest the routes which we are taken are fine? Also as we are reaching leh on saturday evening and will be leaving to nubra on monday morining how can we get Permits? And should we take some extra care as we are visiting there on Independence day. Your plan is OK but hectic. Also please note it will be very challenging to do Nubra to Pangong Tso via Shyok in a sedan like Corolla and for sure it will take a beating or may get stuck. You may need to arrange the permits in advance in such a case. Get in touch with some agents to pay the fee and get the permits in advance. 1.First day We start from Chandigarh and stay first nite at manali. 4 day we will roam local leh to give test the body to avoid hectic traveling continiously and stay nite again in leh..
7 day we will travel nubra back to Leh..and stay at leh..
Our travel period will ne between to 15 July to 31 July..any extra precaution to travel in monsoon season..
Keep rest days for buffer. Me & My Wife are planning for Leh by Road anytime from today…need to be back by 30’June’2017. Have you already done this trip ? We are a couple from south Delhi and want to go around July 1. We will drive on a Nissan Terrano. Looking for tag along company from Delhi. Are you done with this trip? We are also a couple from Delhi and looking for company. If any couple planning a road trip to Leh Ladakh from Delhi in next 2-3 days, do contact us on 9999943423..
We are planning to hire Innova Cysta for our ladakh trip. Will there be any problem if the rider of the car is not the actual owner but a family member to the owner. Carry sufficient document to prove that car’s owner is the family member and car if not being used for commercial purpose. Hi Dheeraj, we 4 youngster are planning to go leh ladaak via manali from Chandigarh by hiring innova. We want to travel in between 15 July to 31 July. Everybody giving advise not to travel in those days as the monsoon rains start and it will spoil ur trip and moreover very risky to travel in rain. Kindly advise when we will travel after July is there any better time to visit to enjoy all the places without any trouble. hey read your article’s and they proved quite useful about having a fair idea in mind about what one faces while taking a self drive route to leh be it from either side. my question is that we are 5 people planning to go for this trip on 17th June and we have decided to take my chevy cruze(2016 manual ltz model) for this trip. please advice that if our choice is correct or we should shift to some other car to take on this adventure keeping in mind that we are 5 people and the ground clearance for this sedan is already low. the route we are taking is delhi srinagar leh manali delhi. 1.which is better eco sport or scorpio ? 2.is there a problem using zoom car in local leh i.e nubra and other places ?? 3.from where to get the permit for the vehicle or any other doc that is compulsry? 4.we are forced to hire car from chandigarh because we are not getting any contact to get it from manali…does manali provide self driven cars ??? 1. Both will do fine, pick which works best for you. 4. No self drive vehicles in Manali available on rent. And what if i take a private no.vehicle …will that attract any problem for nubra and lake ?? It should be under your name or name of a relative with whom you can prove a relationship with a PhotoId card like father, mother, wife or others with same surname. Me & my wife are planning to travel Leh between 17-25 June. We both desperately want this to be our first road trip & want to drive our own car(Ford Ecosports). Having said that we both are little skeptical as we dont have any prior experience driving in hills, though both are good at driving in plains but I know for sure that driving in hills is a different ball game. Would you suggest us to drive on our own or do you think we should rather hire a taxi or a driver ? If you are traveling from Srinagar side, things are a bit easy in comparison to Manali – Leh and then Ladakh roads are mostly good. A priori experience in driving in hills would have surely counted in tricky situations when there is jams, people block your way coming from opposite side and you have to reverse the car, they let you pass in a very little space, the water crossings, the slush, etc.. All these are tricky situation that you might face on the trip. Read the article above and try to keep these points in mind before going out. In case after reaching Ladakh from Srinagar side, you feel fine, take the Manali – Leh Highway back home. Hi Ankit, We are also doing it June 17 to 25. We are also doing it in our own self driven car,. If you don’t mind, we can start it together of course in our individual car but following each other. If you are fine with it, please give me a call to discuss further. 09311109090. We are starting it from Delhi. hi we r also planning on 17 june from mohali with my wife and two kids who r adults in my car. we can go togeather following each other, if yes then pl call me at my cell 9814017046 gurpreet singh. Yes Abhit, you cannot do sightseeing in Ladakh on a self drive rented car in Leh to places like Nubra Valley, Pangong Tso or Tso Moriri. You will have to rent a local taxi once you reach Leh. 1. Is it advisable to use Baleno for entire trip (all locations on itinerary), it have ground clearance of 170mm. Keeping in mind that me and my wife are relatively new drivers. We have experience of driving of about 7000 odd kms in planes. 2. What precaution we should take, with respect to car, other then servicing, which I got it done mt April last week. 3. Do we have to make any changes in air filter or anything? 4. Should we come back via Srinagar? You will surely gonna feel pity for your new car man unless you love adventure more than your car. Otherwise, with some challenges, you should be able to make a trip as 1000s of people do it this Ladakh trip every year with hatches and sedans. Rest, please read the article above for precautions and tips. In case you feel the Srinagar – Leh and then roads within Ladakh were a breeze and no nerve was moved inside while driving on these roads, may be give a try to Manali – Leh Highway else if you regret up to Ladakh, then please return via Srinagar side. We are four people (including my 8 years old son), planning to visit leh ladakh from 30th May to 8th June 2017. We are self-driving with New ford Endeavour 4×4, from Delhi. I read your blog and understand that Manali –leh highway would not be open at that time. Is it possible to make a trip via kinnaur? What should be our itinerary? We would also like to do self-camping. 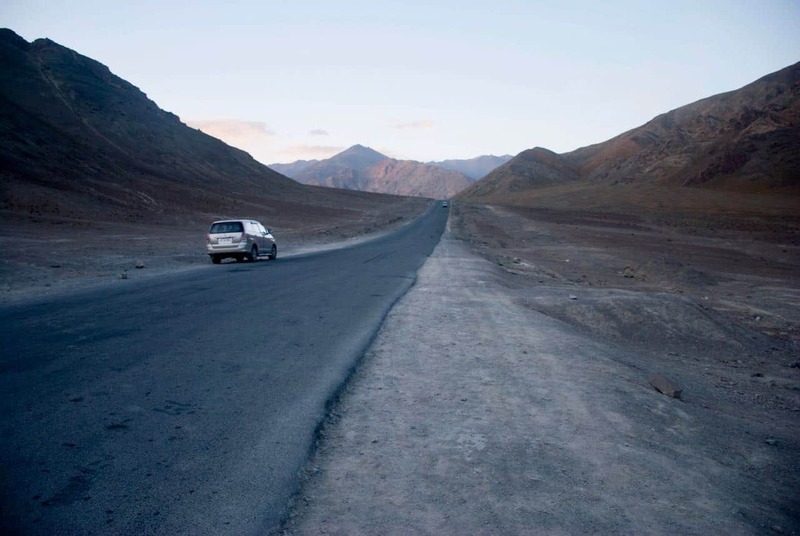 By the end of May, Manali – Leh Highway might open. However, if you postpone it by a week it will really help. Also, if you go from Srinagar side it will help. The road from Kinnaur – Spiti meets Manali – Leh Highway only at Gramphu. Only 9 days with family, road trip to Ladakh will be very tiring on them. Thank you for the tip. We plan to take the srinagar – leh – manali route in July. Is it safe to drive with Chevy spark? Is it safe for women drivers? Ya definitely u can done with I20 but with little care and alertnessn I done it with my 2004 Skoda Octavia in 2014. Via srinagar / kargil raod conditions was very good in 2014 except Zojjila pass but via manali/ sarchu u may face bad roads even no roads, u have to cross many water streams & be prepared for snow in some high altitude passes. Before going u have to read out leh self driving tips and comments on leh section in DOW. In addition to what Arun suggested, For hatchback/sedan taking on Manali – Leh Highway Or Spiti Valley via Manali Or Ladakh, please refer the link: FAQ | Can I do Leh – Ladakh / Spiti / Manali – Leh trip in Hatchback or Sedan? for more details.